Sarah Robinson and her family are shipwrecked on a remote and mysterious island. Their food is scarce and there's no sign of rescue. They have seen strange creatures, rescued a mysterious girl, and found the Curator, who has captured Sarah's father and stepbrother to use in a bizarre time travel experiment. And then the only man who knows about their island comes back-he's looking for buried treasure, and won't leave without it, even if it means leaving the Robinsons stranded. Time is running out. They must get off the island. 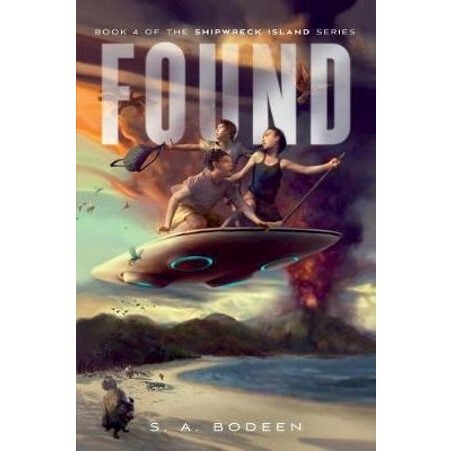 S. A. Bodeen is the author of several acclaimed teen novels, including The Compound, and Shipwreck Island, the first book in this series for middle-grade readers. She lives in Minnesota with her family.